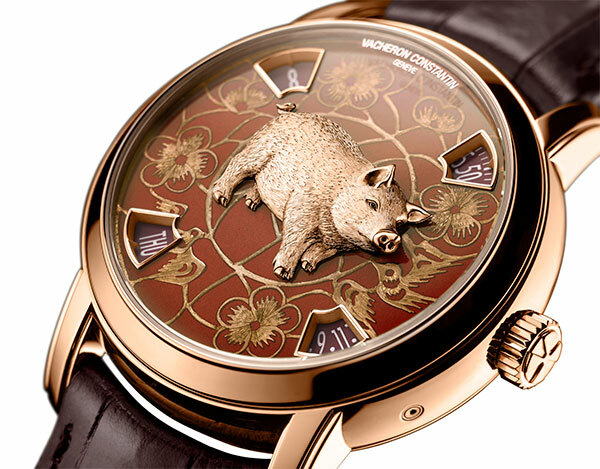 Vacheron Constantin Metiers d’ Art Chinese Zodiac year of the Pig watch in rose gold with sculpted pig. 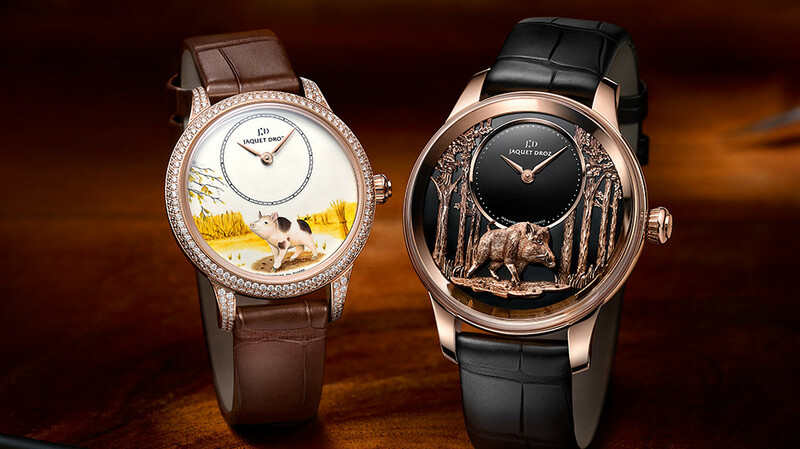 Jaquet Droz Petite Heure Minute Year of the Pig watch in two versions. 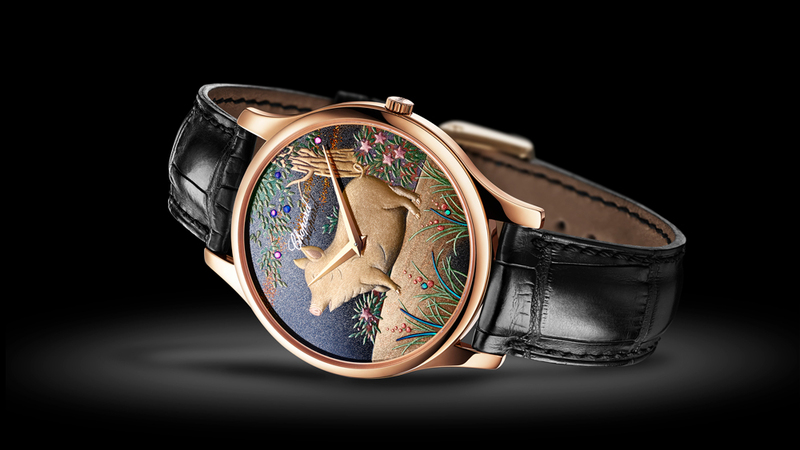 Chopard L.U.C XP Urushi Year of the Pig watch. 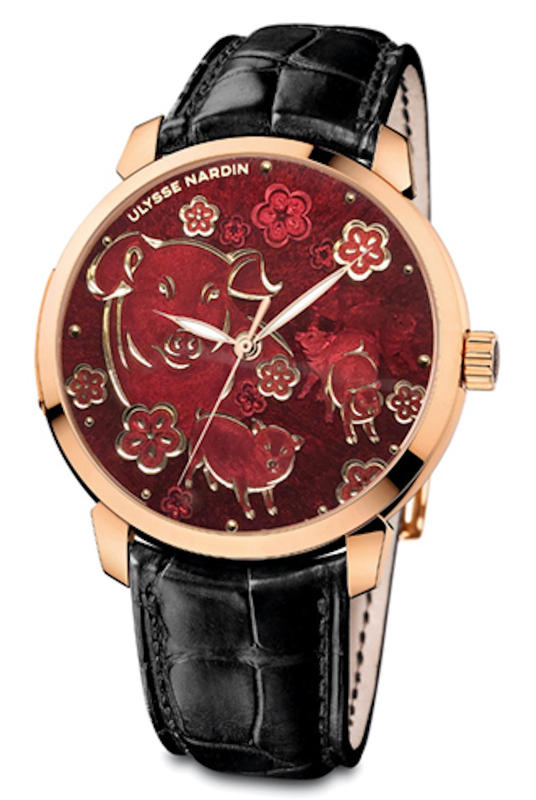 Ulysse Nardin Classico Year of the Pig watch.